Greetings once again gang! The summer movie awesomeness continues today as J.J. Abrams 2nd outing with one of Pittsburgh Underground's favorite franchises premieres today with Star Trek: Into Darkness. This time the crew of the Enterprise finds an unstoppable force of terror from within Starfleet as Captain Kirk (Chris Pine) leads the manhunt into a war-zone world to capture the one man weapon of mass destruction. Check out this amazing trailer! The whole gang is back! Pittsburgh's own Zachary Quinto as Spock, the super-hot Zoe Saldana as Uhura, Karl Urban as Bones, Simon Pegg as Scotty, John Cho as Sulu. Anton Yelchin as Chekov, and the gorgeous Alice Eve as Kirk's main squeeze Carol Marcus (for you Trek aficionados, you'll remember they had a kid together in the previous incarnation of the series). Also starring is Benedict Cumberbatch as one of Trek's most infamous villains - KHAN!!!! So beam yourself out of your captains chair and into a theater near you for to watch Star Trek Into Darkness. 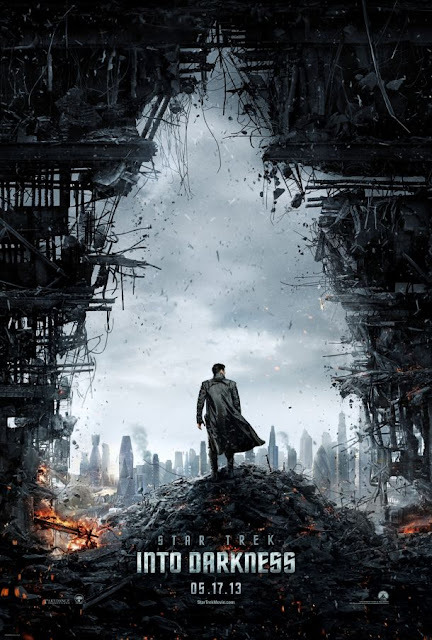 For more on the flick, check out the Official Star Trek:Into Darkness Website!